Ouch! It is a common myth that cavities cause pain. Left too long, they do. But did you know cavities may not hurt when they are forming? Often, young cavities can only be detected by a dental services professional. That is why it is so important to see your Dakota Dental family dentists for regular cleanings and checkups. Cavities form when bacteria produces acidic plaque that eventually breaks down tooth enamel, causing holes (cavities). These bacteria thrive in high-sugar environments and grow in hard-to-reach places like between teeth. It is easy to prevent plaque build-up by taking care of your teeth. Brush and floss daily and visit your Dakota Dental dentists regularly throughout the year for cleanings and checkups to keep oral health problems at bay. If a cavity does form and it is not caught early, you will know about it. From feeling sensitivity and pain when eating sweet foods or those that are hot or cold to seeing dark spots on the teeth, cavities almost always make themselves apparent eventually. 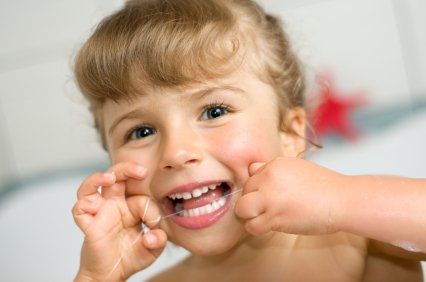 Dakota Dental has several solutions to take care of cavity problems. The simplest way to handle a cavity is to fill it. Our gentle dentists offer cavity fillings with tooth-colored fillings (white fillings) that contain no mercury. Dakota Dental also offers amalgam for those who prefer silver fillings. For more advanced cavities and dental infections, Dakota Dental offers dental crowns and root canal procedures. To learn more, contact Dakota Dental by calling 952-431-5771. You can also request an appointment online at www.DakotaDental.com.